These terms and conditions govern your use of LRN Websites, and all aspects of your transactions with us. By continuing to use LRN Websites, you accept these terms and conditions of use in full. - action or liability of any nature. 2.2 LRN gives no warranty whatsoever that the LRN websites will be available for use permanently or for any minimum period of time. 2.3. Any non-enforcement by us of any of our rights under this agreement and these Terms and Conditions will not constitute a waiver of those rights. Any waiver by us of any of our rights under this agreement and these Terms and Conditions will not constitute a waiver on any subsequent occasion. 2.4. While considerable care has been taken in compiling and updating content on the LRN websites, Jumbo does not guarantee the accuracy of such content. 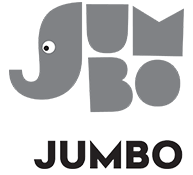 To the extent permitted by law, Jumbo excludes all warranties in relation to the content, and is not liable for any damage, loss, cost or expense incurred by any person using the LRN Websites. 2.5. From time to time, the LRN Websites may contain links to other sites not operated by Jumbo. Jumbo does not control those sites, and cannot be held responsible for their content. Such links do not indicate endorsement or support of any goods, services or content on those sites, and Jumbo will not be liable to any person for any goods, services or content which may be purchased or accessed through links from the LRN Websites, except where the goods or services are supplied by Jumbo. 2.6. Jumbo cannot and does not guarantee that files available for downloading from the LRN Websites will be free of viruses, or other codes that may corrupt or destruct properties. 2.7. You agree to indemnify Jumbo, its officers, directors, employees, affiliates and suppliers from and against all losses, expenses, damages and costs, including reasonable legal costs, arising out of your use of the LRN Websites and any content on the LRN Websites, or from any violation of this Agreement (including negligent or wrongful conduct by yourself or any other person accessing the LRN Websites). 2.8. In the event of a discrepancy between the publication of lottery results on LRN Websites, and the official lottery operator's Lotteries Results as published for a particular lottery draw, the latter shall prevail. 2.9. Jumbo does not own nor operate the lotteries in which it publishes results. Jumbo is independent from the lottery operators, and does not represent or convey the views of those lottery operators. Should you have a question or complaint in regards to a lottery, or the lottery operator, you are advised to contact the lottery operator directly. 3.1. The Notice will be posted by us on the LRN Websites. 3.2. You will be deemed to have received the Notice at the time that it is posted on the LRN Websites. We further reserve the right, at any time and without Notice, to amend the FAQs and other procedures and explanatory information displayed on, contained in, or accessible from the LRN Websites. 4.1. You submit to the jurisdiction of the courts of Victoria, Australia..
4.2. You agree not to seek to stay or terminate any proceedings brought in Victoria on the grounds that the forum is not convenient or is less appropriate than some other forum. 4.3. You agree not to challenge any application made by us to stay any proceedings brought in any other jurisdiction. 5.1. 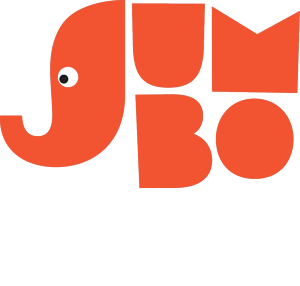 Jumbo is mindful of your privacy concerns and is committed to maintaining the highest possible standards of privacy when handling your personal information. 6.1. No results file, graphic or other content on the LRN Websites may be reproduced or distributed without the prior written consent of Jumbo, and you agree that you will not, in any manner, interfere with, decompile, modify or create derivative works from any such content or downloads.